I am your faithful servant. What is it you want to know? Today's question actually came from several different writers. The bone they were all chewing on was this: how does one manage one's time? I mean, the writing, the social networking, the digging, the promoting, the napping, the chewing. . .okay. Maybe you two-legged types aren't into the digging and napping and chewing so much. But I certainly hear the Writer in Residence kvetching about making time for work, business and networking. I decided not to fool around: I went to the Big Dogs in search of an answer. I couldn't think of any two bigger dogs than Mitali Perkins and Cynthia Leitich Smith, both of whom do an amazing job of balancing all of the writing business balls. Mitali Perkins was born Mitali Bose in Kolkata (Calcutta), India, and always tried to live up to her name—which means “friendly” in the Bangla language. She had to! Because her family moved so much, it was the only way she could make new friends. By the time she was 11, she'd lived in Ghana, Cameroon, London, New York and Mexico before settling in California just in time for middle school. Yep, the new kid again, in seventh grade, the year everybody barely makes it through. Her biggest lifeline during those early years was story. Books were her rock, stability, safe place as she navigated the border between California suburbia and the Bengali culture of her traditional home. Mitali Perkins: I recently did an interview about social media at Shrinking Violets which might be helpful to your readers. When it comes to time management, remember that I don't have another job. I do author visits in schools and libraries, write novels, promote them, and use social media to connect and serve in the world of children's books. That's my vocation, lock, stock, and barrel. Now that my kids are teenagers, I have more time than most writers, and am also blessed with the ability to type and read at furious speeds. On a typical morning in the summer or winter, I write in coffeeshops with opt-in or no internet because I like the background buzz and the inability to waste time surfing the web. I start with revising yesterday's writing and then make myself sit and write new stuff until I've met a word count goal—usually 1500 to 2000 words a day. I give myself permission to write crap. In the afternoons, I'll tweet, blog, and facebook for a couple of hours. I also read quite a bit. I try and keep my broader vision in mind: getting good stories into the hearts and minds of young readers. This includes writing my own novels but reading and promoting others as well. Sounds good, right? But honestly, time management continues to be a huge challenge for me. I waste the gift of time and hate myself for it. Facebook status updates and tweets from disciplined, prolific writers like Jane Yolen or Laurie Halse Anderson make me feel like a poser and a wannabe. Always and often, I'm forced to bring my failure of a vocation before God to ask for grace. Slog on. Take long walks and showers. Find a new coffeehouse. Start a new story. Peace be with you, too. 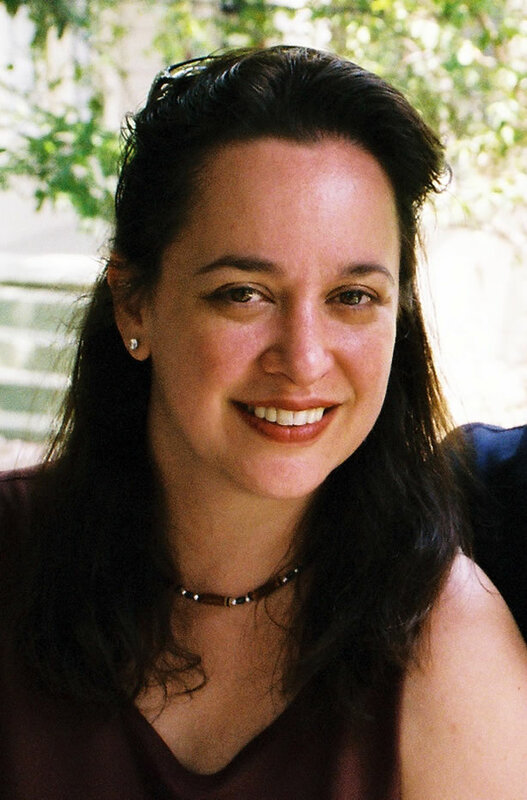 Cynthia Leitich Smith is the New York Times and Publishers Weekly best-selling author of ETERNAL and it's companions TANTALIZE and BLESSED (forthcoming)(all Candlewick). Her award-winning books for younger children include JINGLE DANCER, INDIAN SHOES and RAIN IS NOT MY INDIAN NAME (all HarperCollins). 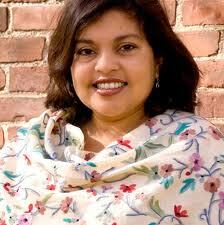 She is also member of faculty at the Vermont College M.F.A. program in Writing for Children and Young Adults. Her website at www.cynthialeitichsmith.com was named one of the top 10 Writer Sites on the Internet by Writer's Digest and an ALA Great Website for Kids. Her Cynsations blog at cynthialeitichsmith.blogspot.com/ was listed as among the top two read by the children's/YA publishing community in the SCBWI "To Market" column. Cynthia Leitich Smith: I treat my writing like a job. My goal is to have my blog, Cynsations, posted each week day by 9:30 a.m. That gives me some leeway after waking up to edit it one more time and also damage control anything, business-wise, that's arisen first thing that day. Consequently, if I open my eyes at, say, 8:30, I'm up like a shot. Social networking, media, and correspondence must be finished by noon, and then I write in the afternoons, break for dinner, and put in another couple of hours of writing time. Along the way, I do a couple of quick email/networks checks. Once that's wrapped, I may format a blog post or two while watching TV before going to bed and reading books. That said, not every day is an average day. There are speaker days, teacher days, and barely-hanging-on-to-make deadline days. On those, I'm more flexible. I also am open to juggling the big picture. For example, because I have two novels under contract and three new books coming out, I'm taking this upcoming school year off teaching. Everyone's formula will be different. But my suggestion is to take responsibility for your success, protect your writing time, and remember that you're only human. Change things up, when you need to! A huge woof of thanks to Mitali and Cynthia for today's post! Having them share their thoughts is a bigger treat than a handful of liver snaps! It's too bad the Two-Legged Writer doesn't take their advice. I had everything all organized for today's post and she forgot to do the one thing I asked her to do to get it live. So if you checked in early and only saw Cynthia's comments, blame it on Kirby, not me. Talk to you next week when I get the scoop from a couple of book lovers, Lizzy Burns and Linda Johns, about how to handle giving less-than-glowing reviews. . . I've always been curious about how Cynthia does it all. Thanks for the glimpse! Thanks for the great tips from the dedicated and inspiring ladies! Great to have two very different perspectives that both seem to work for the respective ladies.